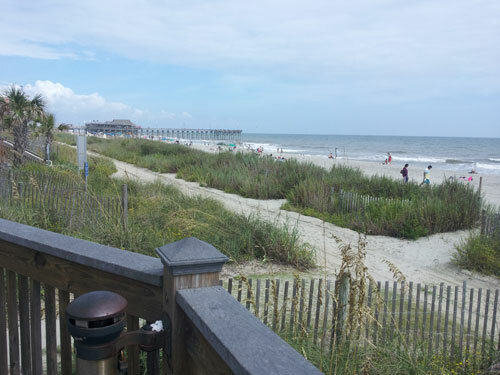 A few days after I wrote the entry about my trip to Wilmington, North Carolina I realized I’d left out two interesting(-to-me-anyway) bits in the rush to get the entry up in time to stick to my one post a week commitment. Those vacation posts take a long time to write because of all the photo editing and linking to relevant web sites that’s required, so sometimes I forget some details. However, part of the reason I write vacation posts is so I can read them years later and be reminded of all the things I’ve forgotten by then. It didn’t seem right to edit the existing entry days after I posted it because who knows if anyone would see the additions, so instead here are my inadvertently deleted scenes. Sleepy Hollow gossip at Wendy’s! My mom wanted to try the pulled-pork sandwich Wendy’s has been advertising, so we stopped at one of their stores on the way to the aquarium. Near the end of our meal I overheard someone in the booth behind me talking about what it was like working on the set of Sleepy Hollow, the Fox television show that shoots in Wilmington. I took a quick glance behind me to see that the speaker was a twenty-something man sitting with an older couple who I guessed were his parents. Anyway, Gossip Guy sounded really excited to be working on a show, and started talking about some minor drama the stars had scheduling time off. Now, if I were to listen to anyone else complain about scheduling their vacation days, it would be monumentally boring, but because we were talking about a TV show this suddenly became the most fascinating thing I’d heard all day, only to be trumped by the lady at the aquarium who told me horseshoe crabs have 10 eyes. Sadly, we could not stay to pick up any more gossip because the aquarium closed at five and we needed to motor. If I hadn’t been so full, I might have been tempted to swipe the pizza for myself. Instead the pizza man and I verified that, yes, this was room 301 but, no, I had not ordered any pizza. I was concerned he might think I was pranking him, which is something I thought only happened in movies and TV shows (and perhaps on the set of Sleepy Hollow). Finally the pizza man figured out that the person who ordered the pizza was probably at the Holiday Inn Express a few blocks away instead of the plain old Holiday Inn we were staying at. I felt bad for the guy, but none of it was my fault, so what could I do? So there you go, those are the deleted scenes from my recent vacation. Not the most thrilling of tales, but quirky enough that I’ll be glad to remember them once I’ve forgotten them someday. Wilmington, North Carolina: The sequel! Climb every mountain. Slowly. And with lots of rest breaks.